In Benahavis, next to one of the best golf courses on the Costa, and enjoying fabulous sea views! 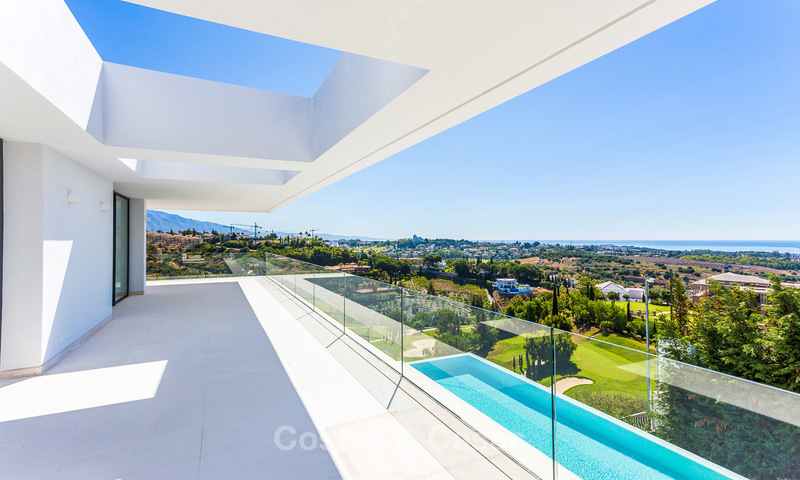 Benahavis is quickly becoming one of the most prestigious locations in the Marbella area. 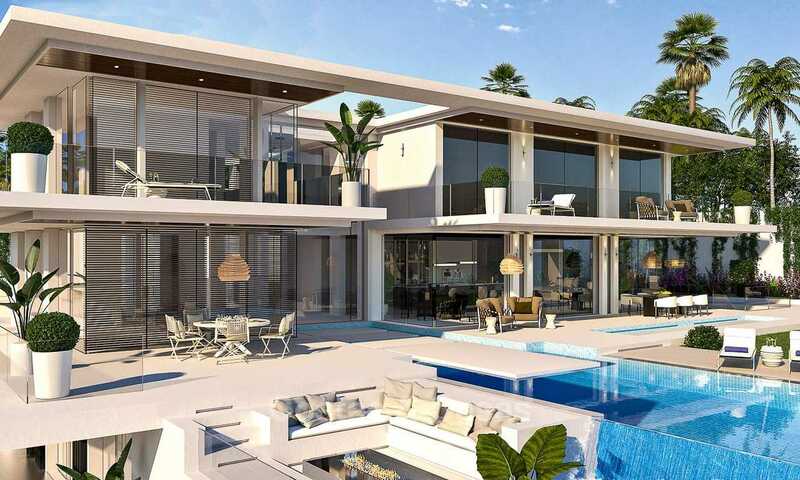 It hosts some of the best restaurants of the province, benefits from top golf courses and connects easily with the lively hotspots Puerto Banus, Marbella and Estepona which are 12, 17 and 20 minutes away by car respectively. 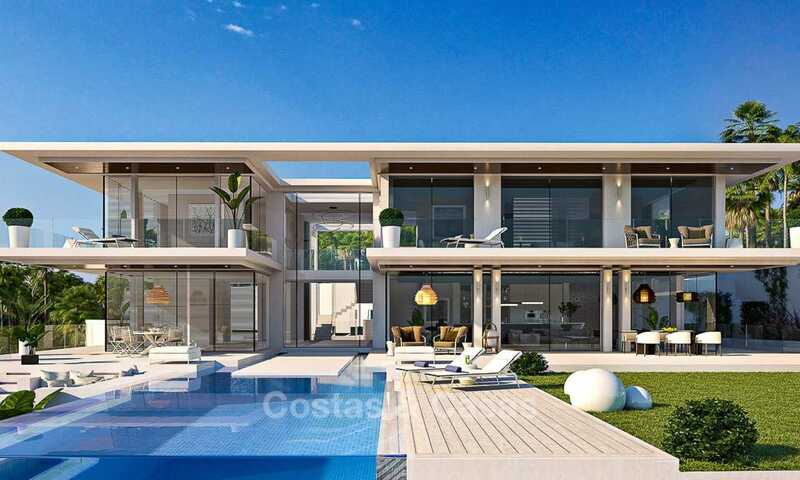 Stunning and spacious south facing luxury villa, in contemporary Californian style. The architectural lines of the villa emphasize horizontality through suspended platforms, ceilings and floors. 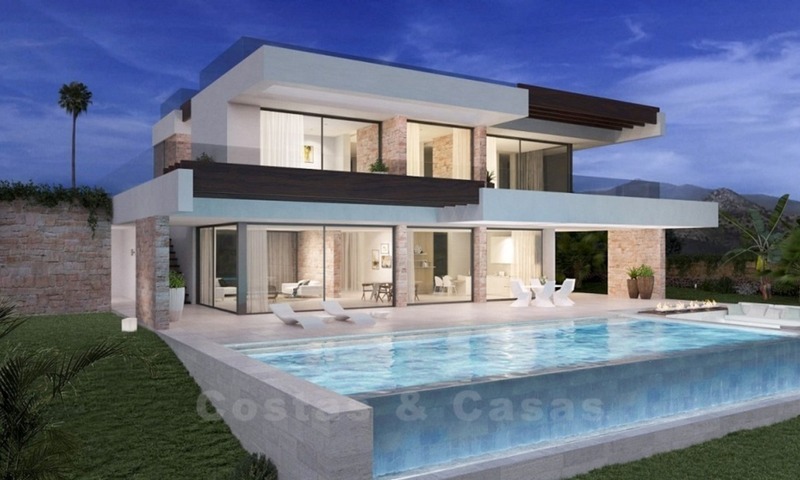 The villa is projected from the inside out, exposing its initial structure and building materials. 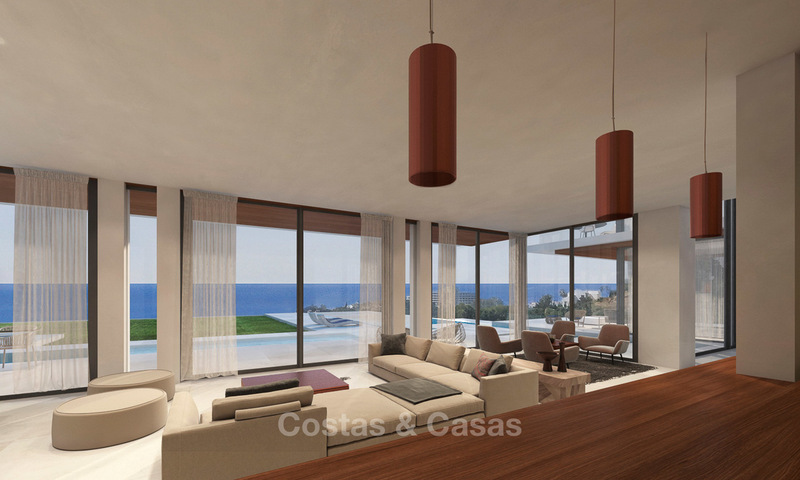 Double height ceilings, wide floor to ceiling windows and large integrated terraces provide brightness and space. The architecture further ensures a perfect connection of the outdoor areas with the indoors. 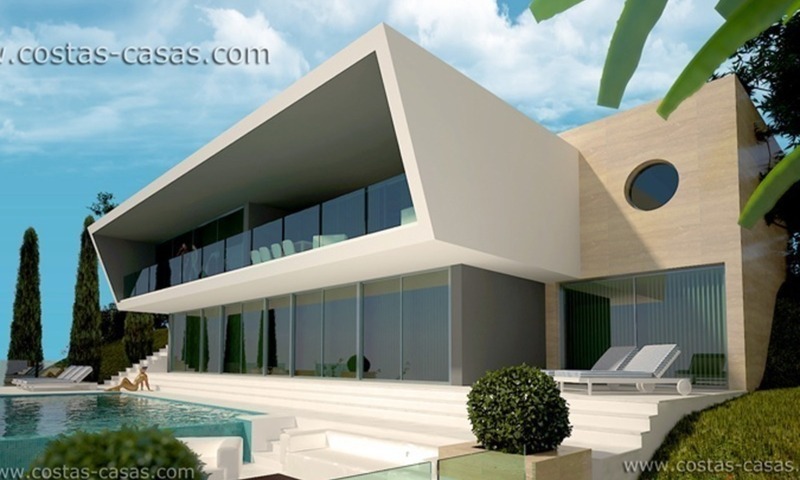 The result is a unique, aesthetically pleasing luxury home. In addition, the best materials and latest techniques are used to make this an ecological, low maintenance building. 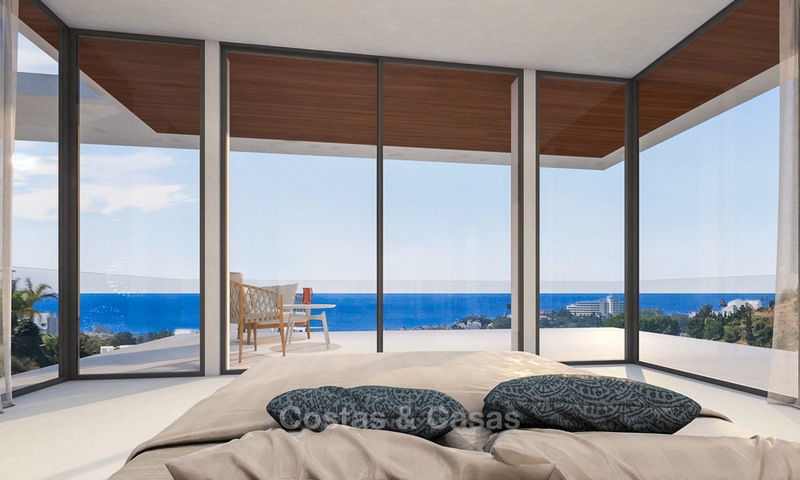 Direct access to a very spacious terrace, partly covered, and the garden with sizeable overflow pool.